The goal: achieve the "Finished any level solo on Legendary, on LIVE, with no shots fired or grenades thrown"
There's probably a million ways to get the 'No shots fired or grenades thrown' for Halo ODST's Xbox points achievement. I'm just going to share how I decided to do it - and did it on the first attempt (I'm not braggin, it's easy, like your momma*). First, select to play the level Uplift Reserve. Have your game skill level set to legendary - it's a requirement of the achievement. Heck, it would be too easy on any thing below! I chose Uplift Reserve because it's vehicle based and you can zoom to the moon through it. None of this stealth B.S. Get yourself a Warthog jeep at the start of the level. Try and get a soldier to man the cannon. If you like, feel free to kill enemies in your way. Dodge the Wraiths if you can, other wise destroy them with the cannon man. Speed thru with your A - Team, trying to get to the check points. You will die trying believe me. 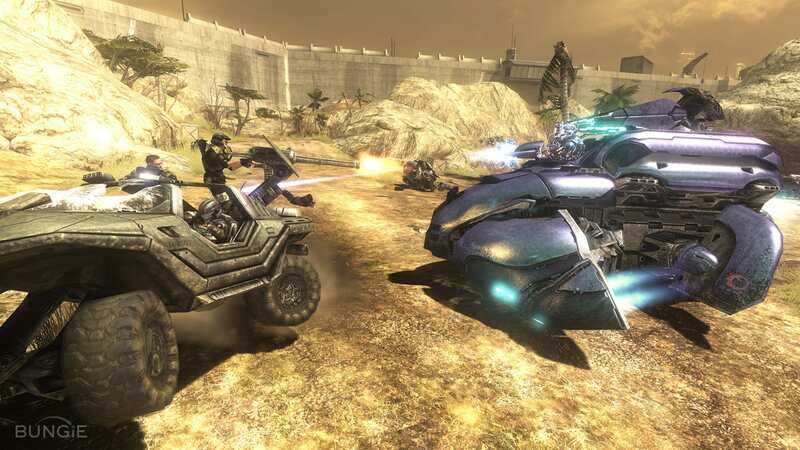 Sometimes it was handy to hold your ground and take a few grunts and brutes out with the soldier using the cannon before running a Covenant Gauntlet. Never honk your horn or doing any trigger pulling on the controller - the game will think this is a grenade or gun firing shot and not award you the achievement! (Well, I think I read that on Bungie.net some where). You can still melee if you need - but hey! get back in your jeep! This achievement is part of the Vid Master Challenge, so if you want Recon armour, you gotta do it! As I said, this is the way I did the Halo achievement, there's many levels on Halo: ODST, like Fleetwood Mac, you can go your own way if you want! You won't run into any Engineers on this level so.. um yeah, carry on my wayward son. * I hear this on xbox live all the time so it must be true. And let's face it, she was gagging for it. "Didn't think anyone survived Pegasi, Sir."